As the conditions surrounding freedom of expression in Iran continue to deteriorate, exiled filmaker, Emad Tayefeh, writes about the women activists who have inspired him in his years advocating for change in his native country. 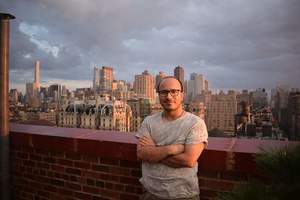 Tayefeh was forced to flee from Iran in 2015, after the country’s totalitarian regime grew suspicious of his latest documentary project, Public Enemies, which focuses on political repression in the filmmaker’s homeland. Before making it across the Turkish border in August of last year, Tayefeh was subject to a succession of arrests and beatings. In Iran, the hardliners remain in power, despite citizens’ widespread support for politicians who advocate reform. The hardliners continue to imprison innocent people in huge numbers, including human rights activists, journalists and bloggers, and creative artists. The regime also keeps jailing foreigners and Iranians with dual nationality who had somehow given the government an excuse to accuse them of crimes, particularly spying, offending Islam, and making connections with nations declared to be Iran’s enemies. Out of fear, even those people who call themselves reformers are staying silent and compromising with this repressive system. In 2009, when there seemed to be a possibility of real political change through the Green Movement activist campaigns, I made documentary films about the protestors who were hoping for reform. I was sent to prison for years, on and off, sometimes after official charges were filed and sometimes in secret with not even a kangaroo court trial. In prison, I was left alone in darkness for months at a time and subjected to brutal torture. When I was briefly released from prison, I was punished in smaller ways—I was fired from my jobs and expelled from my classes when I tried to continue studying filmmaking. A year ago, I fled into exile in Istanbul, and this summer I came to New York as a refugee. In my years of activism, I have met heroes who are trying to foster change in Iran. Heroes including some brave and important women who have suffered cruelly and come to the attention of advocacy groups like PEN. Many of them have spent time in solitary confinement and suffered permanent damage to their psyches and their health. They have scarcely seen their children for years at a time. In 2009, I was on the streets near Neda Agha Soltan when she was shot and killed by the Islamic Revolutionary Guards Corps (IRGC). She was just a bystander at a protest, a woman in her 20s, and people around her were filming. She died looking almost calmly into the rolling cameras, as if she were urging the world to take notice and remember. By 2010, I had been sentenced to death for my supposed crimes against the government and against Islam. Hundreds of other protestors faced the same fate. My sentence was reduced to 10 years and then, after further public protest, I was released. Around that time I met the eloquent and fearless activist Narges Mohammadi, a journalist who had been vocally campaigning for human rights in Iran, a fairer justice system, and an end to the death penalty. She is a kind of Martin Luther King figure in Iran, never giving up despite constant threats and suffering. At one point a friend brought me to meet her during a street protest in Tehran. I shook her hand and told her how much the people support her. At another time, when she and I were both headed into courtrooms to be subjected to trumped-up charges, I saw her in the courthouse hallway. By then she was so sick and weak. I made sure she could see me waving at her—a small attempt to cheer her up. She is married to another activist, Taghi Rahmani, who now lives in Paris with their two 10-year old children. She has not seen them in years and has been prohibited from speaking with them. Her health has been failing while she has been in and out of prison, at times in solitary confinement and without any trial or charges filed against her. She has gone on hunger strikes. In September 2016, the courts upheld several charges against her, slapping her with a 10-year sentence on top of a 6-year sentence that had been handed down in 2012. In 2014, the writer and human rights lawyer Nasrin Sotoudeh agreed to represent me in a case that we both knew I would lose, but we wanted to make a statement in the attempt. In 2010 Nasrin had been falsely convicted of spying, connecting to hostile governments, and crimes against Islam. She was imprisoned, banned from practicing law for years at a time, and prohibited from contact with her family. At one point the regime even arrested her small children, to put pressure on her. She undertook hunger strikes that nearly killed her, before being released in 2013. The government knows how powerful and popular she is; one of her interrogators once told her that if the regime were ever overthrown, she would be appointed as a minister in the new government. She helped me file a complaint about the devastating injuries I had suffered in prison, including broken bones and a smashed skull. We were not surprised when, of course, the file containing our paperwork was lost and the case never proceeded. There is another woman activist, Maryam Akbari Monfared, whom I have not met yet, although I hope to someday. After the 1979 Revolution that overthrew the Shah, the regime secretly murdered 20,000 people in 1988 and dumped their bodies in unmarked graves. Four of those people were Maryam’s three brothers and a sister. No one was even allowed to mourn them without being arrested or executed. After she became active in the 2009 Green Movement, she was arrested in December 2009 and cut off from her three children for years. People raised the equivalent of $300,000 to have her released, but the regime just kept the money. She filed a complaint from prison on October 18, 2016, against the government, demanding information about her murdered siblings and petitioning to have the regime take responsibility for their executions. As a refugee in New York, I have little power to help defend amazing people like Narges, Nasrin, and Maryam on the ground. All I can do is cooperate with groups like PEN America that are trying to help them, and to keep making films and to get my films and writings in the public eye. I hope to draw attention with my eyewitness testimony to how shamefully Iran punishes its citizens—and even their children—who speak out, resist, and peacefully advocate for change.